It's easy to see that I haven't blogged much in the past three years or so, but it's not because I got blogged out. For the first two of those years, I was recovering from necrotizing fasciitis (as much as I ever will) and living with my partner of the time. Shortly before I moved out, my ex-wife, Mary, was diagnosed with colon cancer. She would have to undergo chemotherapy. So, when I left my (now ex-)partner, I moved in with Mary to be her caregiver during treatment. I've written earlier about Mary's first romp with chemo, and how she had better results with hydrogen peroxide therapy than with chemo. Unfortunately, the story doesn't end there. Mary's oncologist had such an unprofessional fit at the idea of her making use of a safe, natural, alternative mode of healing in addition to the chemo, that it made her second-guess herself. With H2O2, she had brought her CEA count (an indication of cancer activity) down to 8.9. But she stopped taking it. 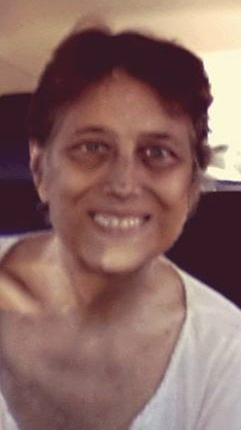 That was March, when she returned to chemo alone. Her oncologist tried another combination of drugs, then another, and finally one more. By October, her CEA was 260, and the oncologist gave her the bad news: There was nothing more they could do for her. They had exhausted every AMA-approved chemotherapy drug there is. They couldn't even recommend more of the same as she'd taken, as she was now so frail it would shorten her life, rather than extend it. "Go home," the oncologist told her. "Spend the time you have left with your family, with your children." She was given a list of local hospices providing end-of-life services at home. She chose a company with the boldly descriptive name of Hospice At Home. Many people think that hospice is a place, like a hospital. But it's not. To begin with, "hospice" is actually shorthand for hospice care. It's a philosophy of medicine that seeks to relieve pain and anxiety, at least as much as possible, in the final days, weeks or months of life. While some people do recover from their "terminal" illnesses, most, of course, do not. One can experience hospice care in a dedicated facility, but when patients have family or friends who can provide 24/7 care, most prefer to stay home. So I'm the one providing the 24/7 care, with relief from our children when they can get here. But hospice, which by the way is free-of-cost, provides all medications. Since are providing palliative care for end-of-life, drugs can be used without worry as to long-term side effects. For example, Mary's hospice will be taking her off her previously prescribed pain meds, and switching her to methadone, which is more effective but is addictive. So what if it's addictive? It's not like she'll have a monkey on her back for decades to come. In a sense, entering hospice is very freeing. It's the perfect time to start smoking, for example, if one ever had a wish to find out what that was about. One needn't worry about how soon one's iPhone 6 will become obsolete, or having to buy new drapes. The hospice patient, with pain controlled (hopefully to zero on the clichéd 0-10 scale), can enjoy visits with family, simple hobbies, and so on. In Mary's case, she is still well enough—we hope—to take a quick flight to Las Vegas with our daughters for a "girls' weekend out". Her goal is to make it to Thanksgiving and for all our children to be there. However, please don't think I am complaining. I feel privileged to be allowed to share this most intimate experience with her. Mary's bravery, good humor, and empathy for others has made her loved by every one of her caregivers, even—especially!—her oncologist. Her fearless embracing of her impending transition is an example to us all. She continues to humble and inspire me. And yet, even now, she hasn't completely given up. She's resumed taking H2O2. Personally, I think it's too late, that she can't take enough hydrogen peroxide to kill the cancer cells faster than they can spread. But I could be wrong. I hope I am! It sure has happened before.